Palestine Today, an organ of Islamic Jihad, has an article today saying that Gaza is not at all like the image of "destruction and siege" that the world believes. Far from the image of war, destruction and siege in the Gaza Strip, Gazans during the year 2013 restored many aspects of normal life after years of blockade. "The return of building and construction in the first half of the year, and the entry of modern cars, luxury goods, and the emergence of artists in the international arena in the areas of singing and painting, in addition to the Arab reader who is the best in the Arab world in the recitation of the Koran, as well as the continuation of weddings and other happy occasions. are some of the aspects of the Gaza Strip in 2013," said the article. 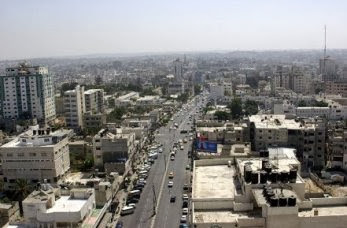 It goes on to say that many building projects were started, roads were paved, Gazans won recognition for their singing, art and Koran recitation talents, and there are concerts and weddings daily in the sector.